Laci Rocha Peterson, 8 months pregnant, was last seen by her sister, Amy, in the late afternoon of December 23, 2002. She spoke to her mother, Sharon Rocha, at 8:30 p.m. that night. This would be the last time anyone from her immediate family ever spoke to her. A search began which lasted an agonizing four months. Sadly, Laci Peterson and her son Conner were found dead on the shores of San Francisco Bay on April 18, 2003. Her husband, Scott, was eventually arrested and charged with the murder of Laci and Connor. After a sensational, media-saturated trial, Peterson was found guilty of capital murder and was sentenced to death on March 16, 2005. 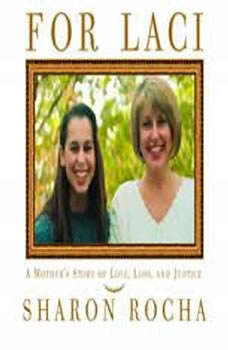 This book deals with the story in three separate sections: first, Sharon describes the ordinary, loving life her daughter led, including fond memories of her childhood and adolescence. Second, it covers her marriage, disappearance, the community's moving search for her, and her and Connor's eventual recovery from San Francisco Bay. Third, it tells the story of the trial in detail not before revealed. Sharon will also talk about victim's rights, a subject on which she now campaigns regularly.